Czech cinema has a rich history of incorporating puppetry into its features. From Jan Svankmajer's interpretation of Faust through to Jiri Trnka's ouevre, the art-form has helped shape large swaths of the nation's cultural output; with Jan Sverak's Kooky, however, this style of film-making may have reached an aesthetic peak. Seamless direction, incorporating traditional puppeteering, stop motion techniques and live action sequences mean that the stereotypes of seeing strings on screen is redundant; each character in the film has weight and appears animated with the electricity of life in their bones. Sverak is a master of his craft yet sadly, despite this, the tale lacks much of the sophistication and nuances the technical side of the film boasts. 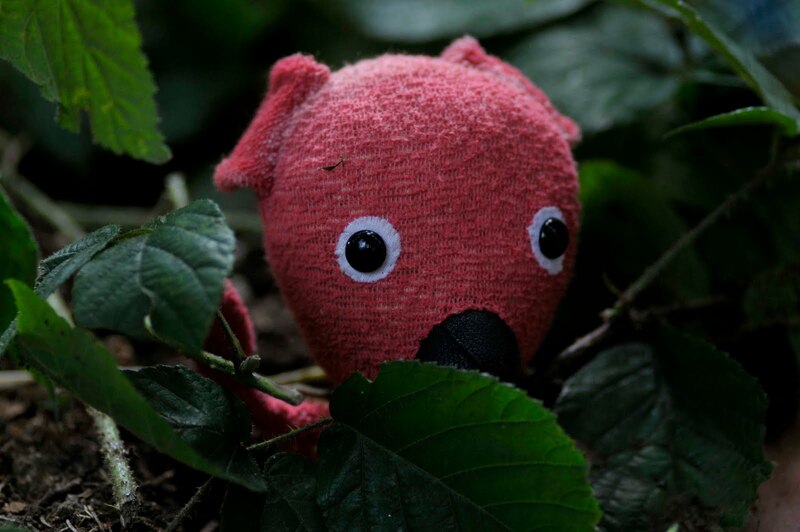 Kooky is the story of the titular character, a teddy bear, who begins a voyage entirely dreamed up in the mind of a six year old child when he is forced, by his parents, to part ways with his scruffy, weathered toy. Rather than forget about his former pal, the boy begins to wish, pray and hope that Kooky will come to life in the landfill he will inevitably end up in, with nous and a sense of adventure acting as a compass to bring him home. After a narrow escape from a powerful JCB, Kooky begins his long journey which involves encounters with root vegetable-esque forest guardians, and deformed plastic bottle protagonists who have it in for our hero. In many ways Kooky, with its sumptuous aesthetics and focus on childhood and imagination, thematically resembles both Where The Wild Things Are and the Toy Story series without ever threatening to achieve the dizzying heights of these superior movies. The animation, puppetry and character design are second to none in the feature but, sadly, as little is at stake (emotionally or otherwise) there is little to feel for these imaginary characters who neither grow, give out wisdom or in any way reflect the hopes and fears of the sick child who is conjuring up the imagery. To it's credit, Sverak's film does ring true as something dreamed up by a young child - the detail and splendour may be there, but there's little rhyme or reason for the tale's existence, little structure, point or moral to be learnt, no grander purpose of being other than to exercise the mind. It's a beautiful looking movie but, sadly, the movie is more about Kooky (the teddy) than the boy who imagines his adventures and, as such, there's little to get stuck into on a cerebral level or emotively. Nonetheless, Kooky constitutes a rather cute way to spend 96 minutes. * This film was screened at The Joshua Project's Plaza Cinema as part of it's Czech and Slovakian film season. Aye - I think the separate elements of fantasy and reality here are good individually but i'm not sure how well they mesh sadly.